Strapping seal is placed over the overlapping strap ends either during or after tensioning the metal strapping. Eliminates pre-threading of the seal and speeds the strapping operation. 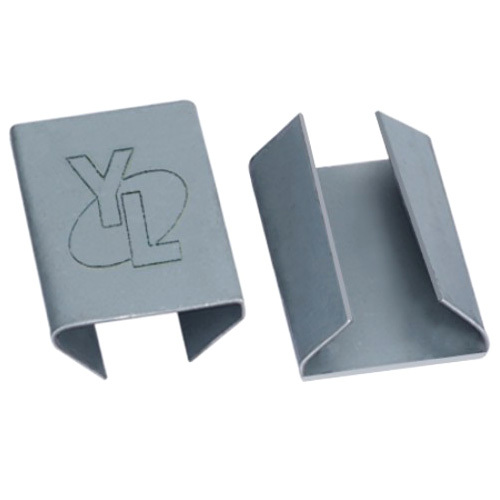 This is the most popular seal for steel strapping and is used in most of the strapping applications. Tools required are strapping tensioner and strapping sealer.